One week before February’s mayoral election, Lori Lightfoot held a campaign news conference at the Union League Club of Chicago. It was fairly uneventful, save for an appearance by Rep. Robert Martwick, a property tax lawyer and supporter of Toni Preckwinkle. “This is why you’re not capable of being mayor of the city of Chicago,” Martwick shot back. Lightfoot had called the press conference to rail against Martwick’s state proposal to make the county assessor an appointed position, rather than an elected one. The incident made news headlines and helped fuel a late surge that resulted in Lightfoot getting the most votes in the Feb. 26 election. Ann Lightfoot, Lori Lightfoot’s 90-year-old mother, smiled when watching a video clip of the exchange. Lightfoot’s story begins 350 miles east of Chicago, in the small city of Massillon, Ohio. That’s where her mom worked the overnight shift as a nurse’s aid and her dad, Eli Lightfoot, dreamed of becoming a lawyer. Though his daughter would one day realize that dream, a case of meningitis robbed Eli Lightfoot of his hearing, leaving him to work as a janitor at local factories. Massillon, Ohio, was segregated. But Ann Lightfoot insisted on raising her family in a predominantly white neighborhood. The youngest of three children, Lightfoot was always very close to her brother Brian Lightfoot. “Lori just had one of those curious spirits, she was just – she was like a sponge,” he said. When Lightfoot was in junior high school, she got a front-row seat to the joys and burdens of elected office: Her mom became the first African-American to serve on the local school board. At Washington High School, Lightfoot participated in nearly every activity imaginable: high school band, the basketball team, Latin club, the choir. She was her class president for three years running. Her campaign slogan for class president? Once elected, Lightfoot led a boycott of the bland food in the school cafeteria. But it was academics that set her apart. After graduating from the University of Michigan, Lightfoot headed to Washington, D.C., where she worked for her congressman, a Republican named Ralph Regula. In 1986, Lightfoot moved to the city that she would one day hope to lead. She had been accepted to law school at the University of Chicago. Lightfoot was immediately struck by the racial dynamics in Hyde Park. From law school it was on to the white-shoe law firm of Mayer Brown, where she took on cases that would later become fodder for her opponent, Preckwinkle. Lightfoot represented Merrill Lynch against claims of race discrimination. She defended an off-duty police officer who’d participated in a barroom beating. And she worked for a group of Republican lawmakers challenging Illinois’ legislative map. Lightfoot was well on her way to becoming a partner, but she wanted trial law experience, so in 1996 she left it all behind to become a federal prosecutor. That same year, her brother was arrested for a federal crime: possession of crack cocaine with intent to distribute. Brian Lightfoot was sentenced to 17 years in prison – for a case not so different from those his sister was prosecuting. “It was tough. It was tough,” Lightfoot said, fighting back tears. Her reputation as a no-nonsense litigator now solidified, Lightfoot was tapped by the administration of Mayor Richard M. Daley to clean up a series of messes. She worked briefly at the city’s Office of Emergency Management and then landed at an obscure agency that had been rocked by scandal. The Department of Procurement Services had been handing out contracts reserved for businesses owned by women and minorities to … white guys. “You have to understand something about Lori. It doesn’t make a difference what her race or somebody else’s race is. It’s, ‘This is the law, and we have to follow the law,’” said Mary Dempsey, former Chicago library commissioner and former Interim chief procurement officer. Lightfoot was called again to public service in 2016, this time by Mayor Rahm Emanuel, who appointed her president of the Chicago Police Board. Activists and families of police shooting victims were angered by what they perceived to be Lightfoot’s lack of empathy. But her police board did discipline more officers. And that didn’t sit well with the cops. And then there were the 16 shots that reverberated across Chicago. After the murder of Laquan McDonald at the hands of a police officer, it was Emanuel’s turn to tussle with Lightfoot. Her police board recommended three candidates to replace his fired police chief. But Emanuel went with his own choice, Eddie Johnson. Emanuel had also appointed Lightfoot to his Police Accountability Task Force, charged with making recommendations to fix the culture of the Chicago Police Department. But Lightfoot, who was initially supportive of the mayor’s response to the McDonald case, publicly broke with Emanuel, angry with him for not implementing the lion’s share of the task force’s recommendations. “I pressed him to do the right thing on police reform and accountability, because that was the right thing to do. He didn’t like it, at all, but I’m still going to be that kid who calls it as I see it,” Lightfoot said. 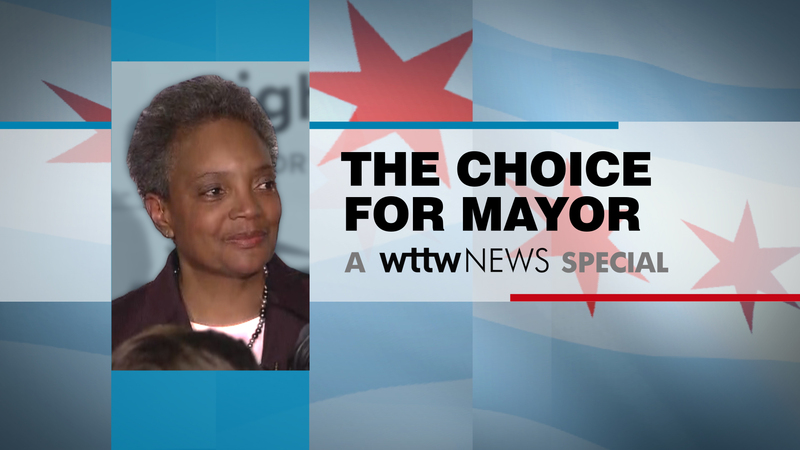 It became the impetus for her campaign to challenge Emanuel for the mayor’s seat, and she became the first to throw their hat in the ring. Little did she know that she would not end up running against the man who had relied on her for police matters, but a longtime alderman and Cook County Board president who was also vying to be the first African-American woman to become mayor of Chicago.